CataStak Information - Nationwide Boiler Inc.
Nationwide began as a user of the CataStak™ SCR system. 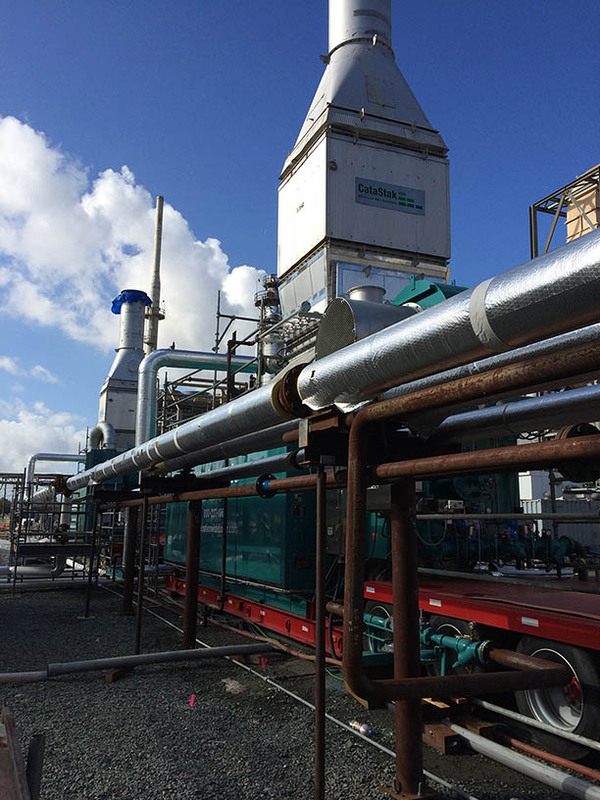 After years of field testing on numerous rental projects, selective catalytic reduction (SCR) was recognized as the solution that met all objectives: it is economical, reliable, easy-to-operate, efficient, and reduces emissions to single digit NOx levels. The enormous success of the company's development of modular SCR systems on Nationwide Boiler's rental fleet suggested to company management that a market existed for a field-retrofit system for package boilers. Thus the CataStak™ SCR System was born. Today, Nationwide Boiler leads the nation with the most low NOx solutions for less than 5 pm NOx on package boilers. The CataStak™ has become the standard for compliance assurance, reliability and product quality. An ammonia-free SCR option is also available for plant owners and operators who desire an ammonia-free alternative, and the system is also available for fired heaters, gas turbines, heat recovery steam generators (HRSG), and other fired equipment.